Watch out Mel Gibson: There's a new octo-dad in town. The 61-year-old thesp and his wife also have another son together, three-year-old Ossian. 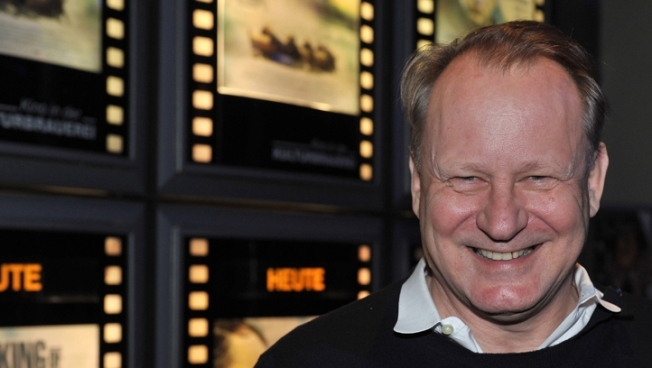 Avengers star Stellan Skarsgard and his wife Megan Everett welcomed the actor's eighth child in Stockholm Friday, a baby boy, according to The Hollywood Reporter. Inside Bill and Giuliana Rancic's "Official Baby Watch 2012"! That means "True Blood" star Alexander Skarsgard just became a big bro...again (the hottie on-screen vamp is one of Stellan's eight children). Take a look at more celebrity families!